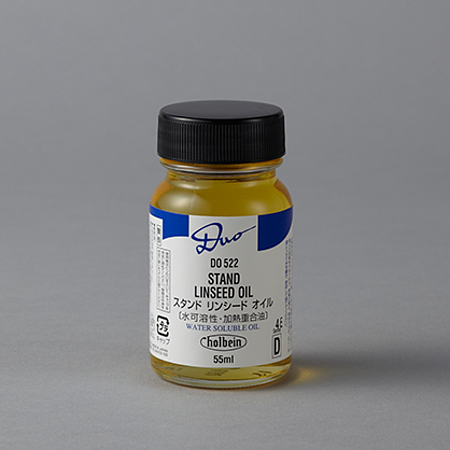 This is a transparent oil with high viscosity that is heated in flax. It is water-soluble. By mixing it with pigment paste or pigment, its transparency increases, and an enamel-like luster can be gained. It does not leave brush marks. It has high fixing strength and it is flexible. It forms a solid surface. It can be diluted in water. It becomes white and muddy once water is added, but it goes back when dried. It may get muddy while it is stored, but the effects when in use do not change.